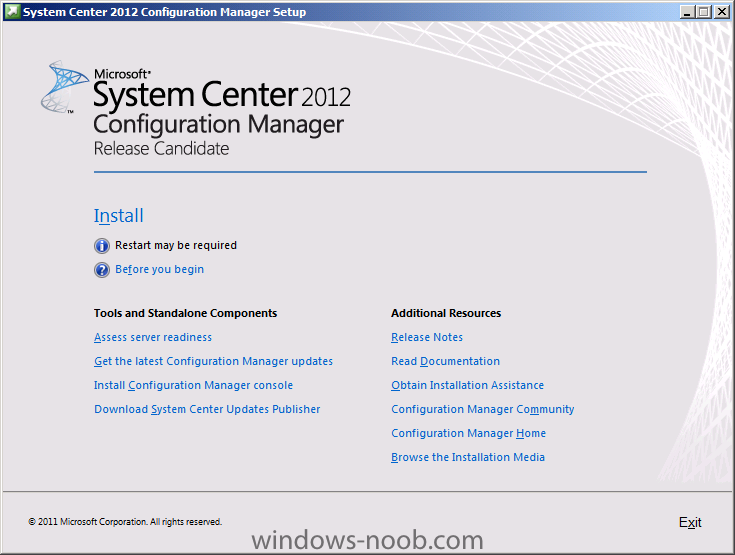 If you've been following my previous series of guides on System Center Configuration Manager 2012 Beta 1 and Beta 2, then you'll know where this is going, we are going to install System Center Configuration Manager 2012 from scratch and configure it, use it, test it, learn it. This is Part 1 of a series, to see the entire list please see this index. 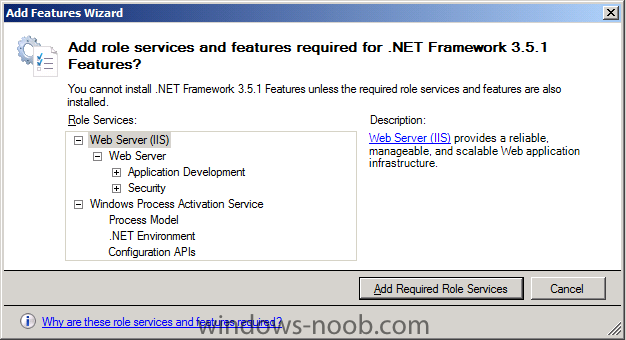 Note: The following page on Technet describes the recommended hardware requirements for a stand-alone Primary Server. The following hardware requirements are recommended for a stand-alone Primary server. 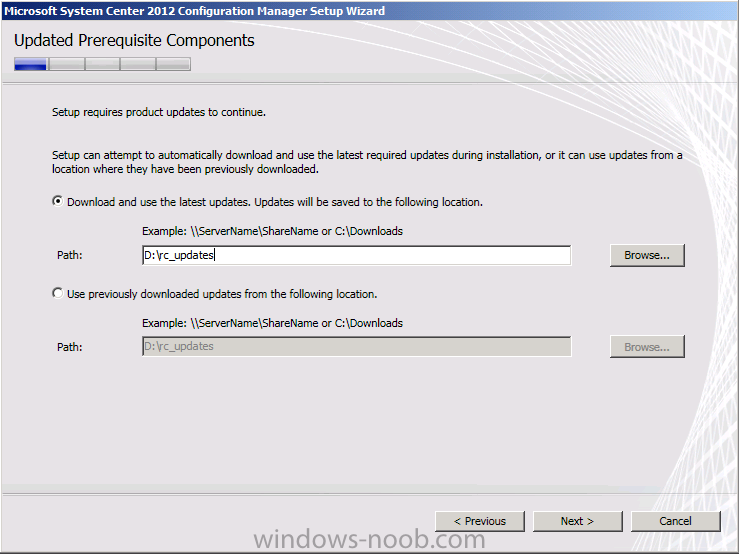 * ClientInstall, a domain user used when installing the Configuration Manager Client for Client Push. This user must be a local administrator on computers you want to install the Configuration Manager Client. On the SCCM server add the SMSadmin user to the Local Administrators group (you can add the ClientInstall account also). 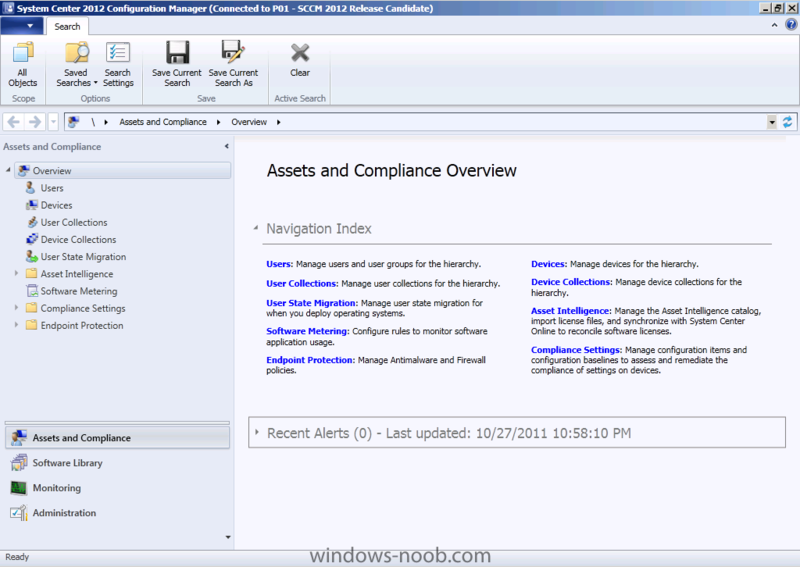 Failure to do the above will mean that the System Management Container in AD will NOT POPULATE with ConfigMgr site info needed by the Clients and you will see many errors in your site status warning you of same. 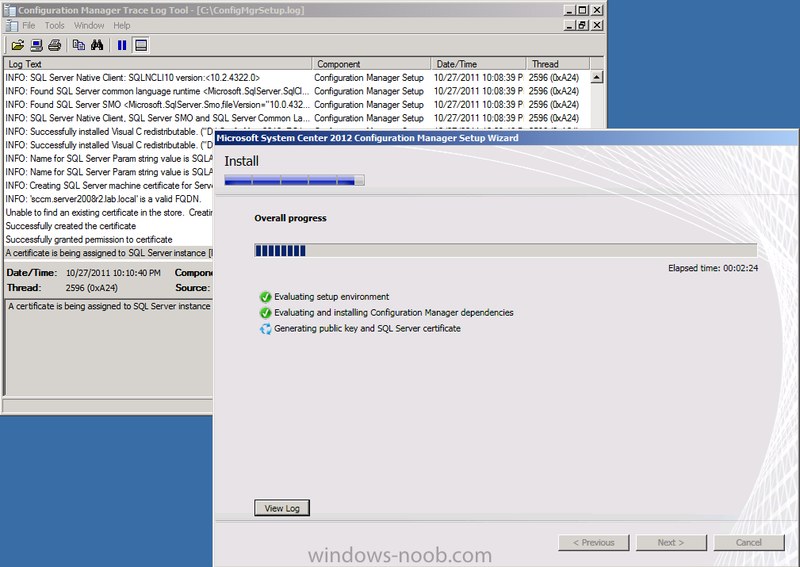 At the time of writing this guide I chose to use SQL Server 2008 SP2, CU6 with the hotfix mentioned below, that is fine for Release Candidate 1. If you are using RC2, then use CU7 instead of CU6 and the hotfix, or use SQL Server 2008 R2 SP1 CU4 as described in 10.b below). 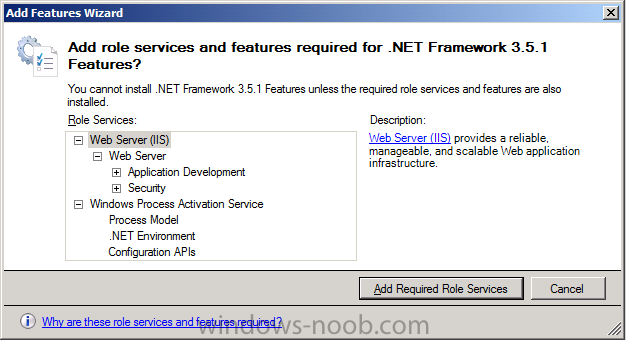 Be aware that If you use SQL Server Standard, your CAS will only be able to support 50k clients. Next download CU7 , you can download CU7 from here. 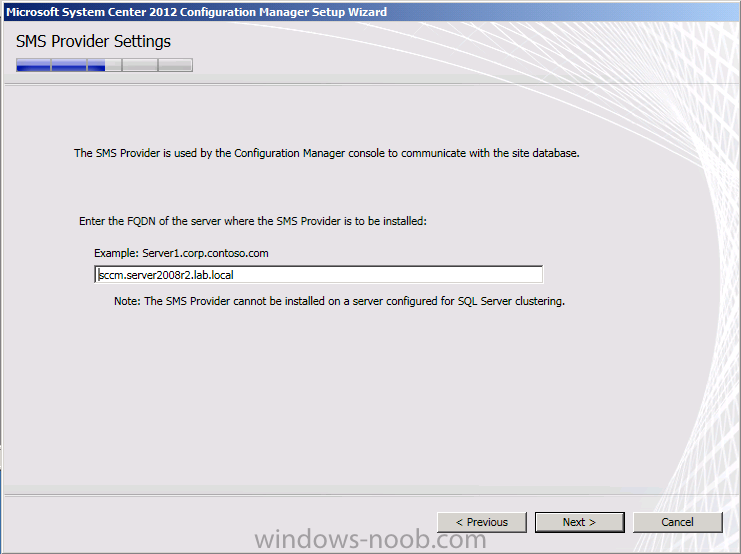 This step if you decide to use SQL Server 2008 R2. If you want to use this version then the supported version is SQL Server 2008 R2 SP1 CU4. 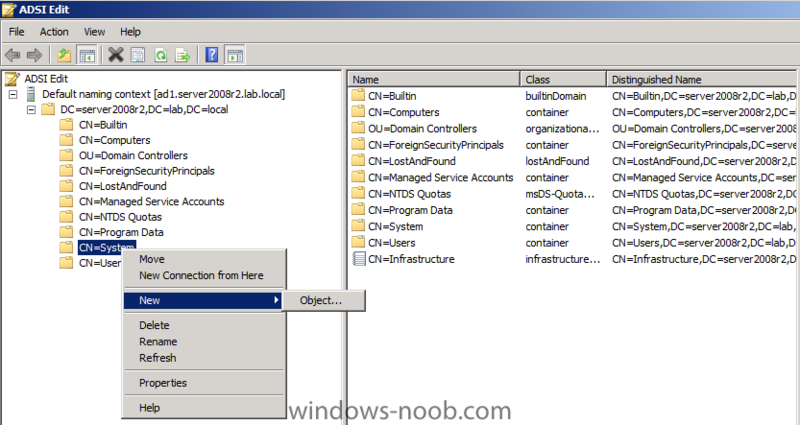 Tip: If you use or plan on using a SQL named instance for your Configuration Manager 2012 installation you should configure the named instance with a static port since named instances are configured for dynamic ports by default during an SQL Installation. 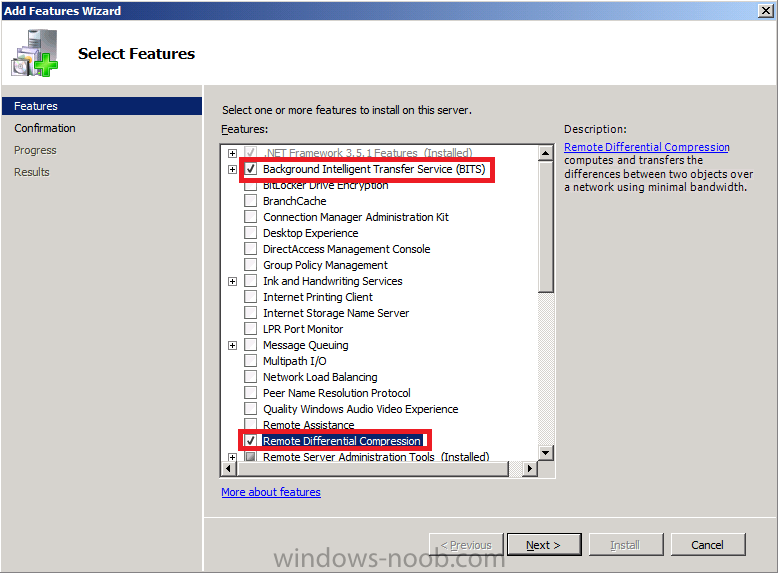 You can check this configuration by starting SQL Server Configuration Manager and by going to SQL Server Network Configuration, then check Protocols for Named_Instance (where Named_Instance is the instance you creade) and then check the details of the TCP/IP IP addresses of that Named Instance. Note: This is Part 1 of a series of step-by-step Guides for Configuration Manager 2012. To view the entire list please see this index. This guide and all guides here are © windows-noob.com. If one goes live using the RC version, do you think it will be possible to upgrade to the actual release when it comes out? Not sure whether this will be the case or not. 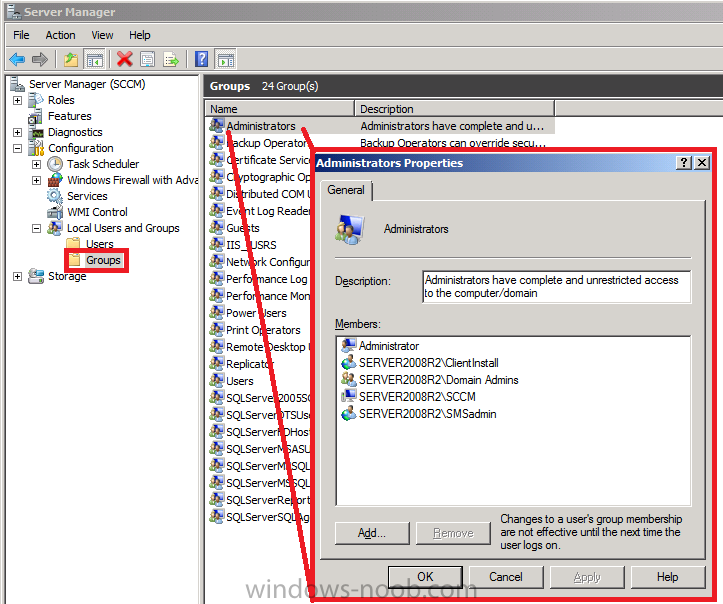 However, Virtual Machine Manager 2012 has been verified of being able to go from RC to RTM through an 'upgrade' process. Following that lead, although I have officially seen nothing that suggests SCCM will go down that path too, it is likely I suppose that it will. 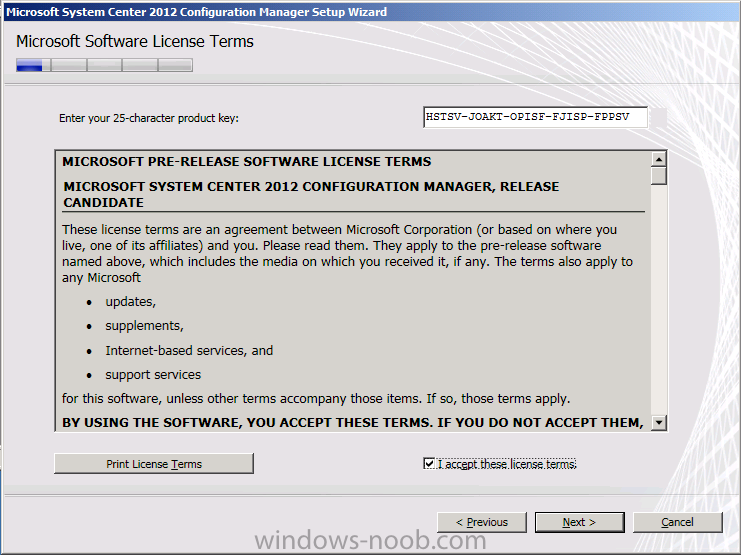 Could you please advise on a rights assignment for ClientInstall, SMSadmin and other account? thanks, i'm not sure what you mean, if you look at Step 1. above doesn't that explain it ? This user will be a local administrator on computers you want to install the vNext Client. What is with SCCM 2012 with Clustered SQL?? Did Someone have an Idea?? Frankly i have Two windows servers presently caputured on my Devices as Active and I used the same push procedure. funny enogh the last server that came onboard had the windows firewall turned on. As suggested, I have tried turning off the Windows fire wall on the windows 7 client computer and still no head way. kindly direct me on where i can find the PARTICULAR LOG for the last push event, that way i will know exactly wat happend. 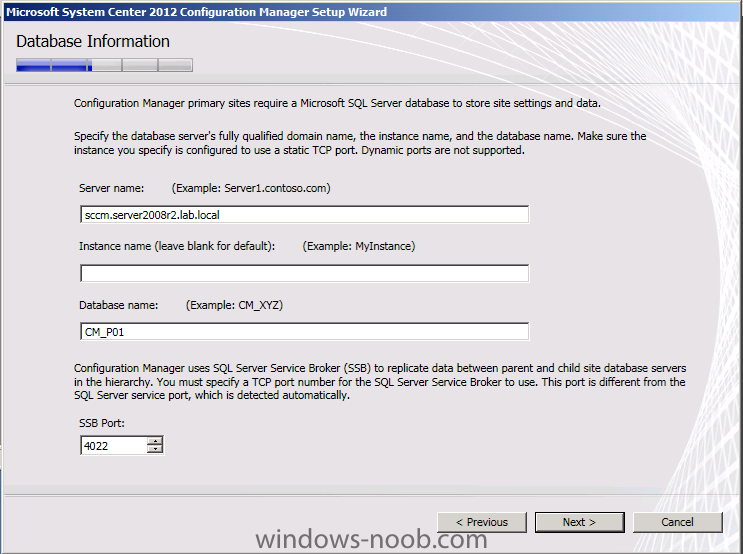 For licensing reasons I have to put the database on a different server running SQL 2008 R2 Standard. 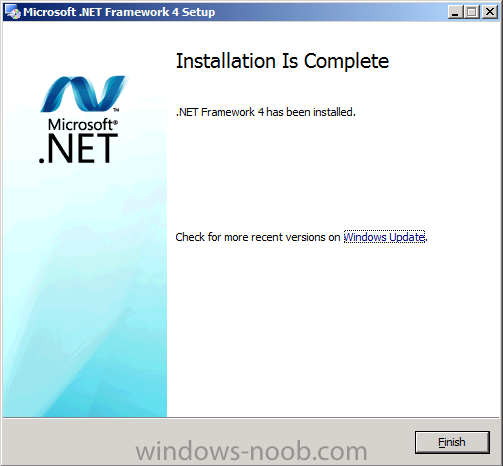 Sure I could run an evaluation version on a release candidate installation but this has to go live sooner or later. In any case I have to put the database there, and for consistency I also put the WSUS database there. 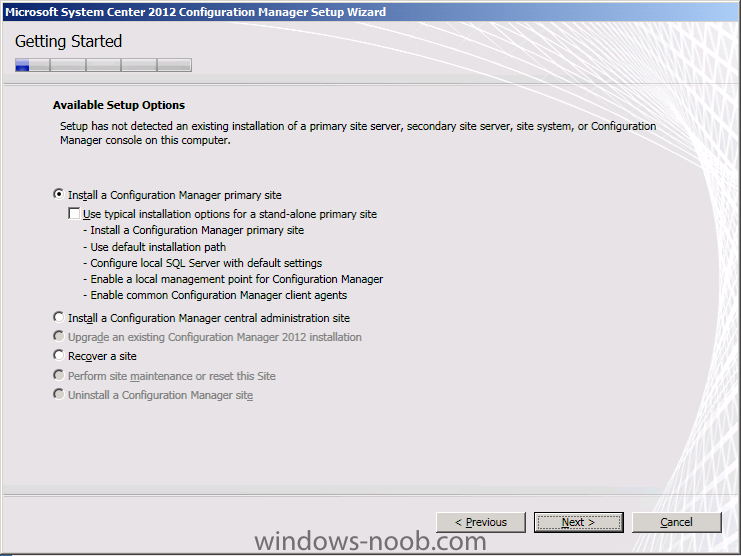 When I installed SCCM it added my SQL server as one of the SCCM servers, with the database, component server and site system roles. 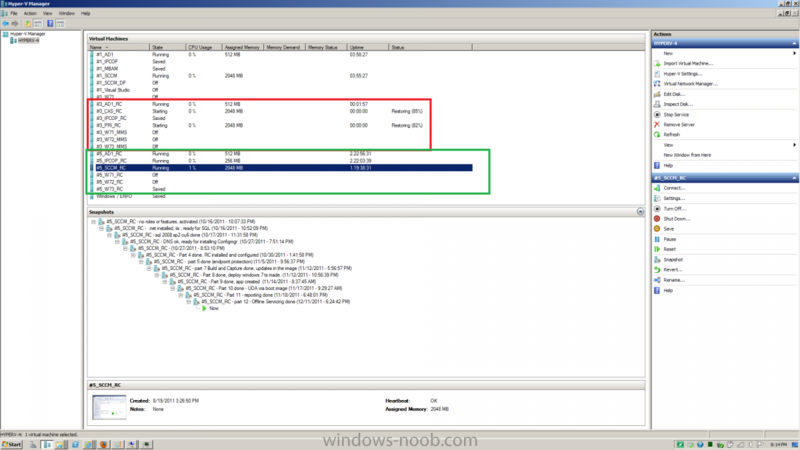 It also added a firewall exception for port 4022; the port exception for SQL itself appeared when I first installed SQL. For some reason the Hierarchy Manager continues to complain that said ports aren't "active." I can telnet to both ports from a remote computer. Are there any caveats to putting the database on a different server that I've missed? This is going to come up because not everyone has unlimited processor licenses for SQL Server, and SQL Express may only be used on secondary sites. 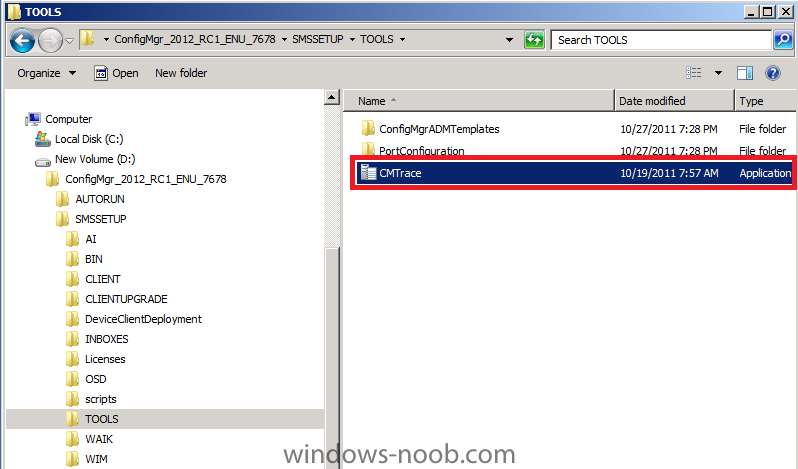 [16 DEC] I can deploy SCCM and WSUS with an external SQL server without any serious difficulty. 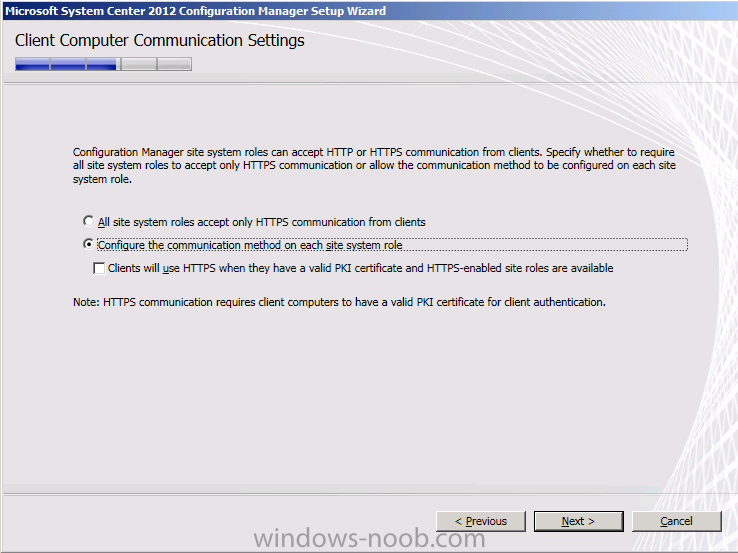 I avoided the firewall complaints by creating exceptions on the SCCM server as well as on the SQL server. I managed to resolve my other non-SQL-related problems through other means, as it seems the location of the database makes no difference to those. 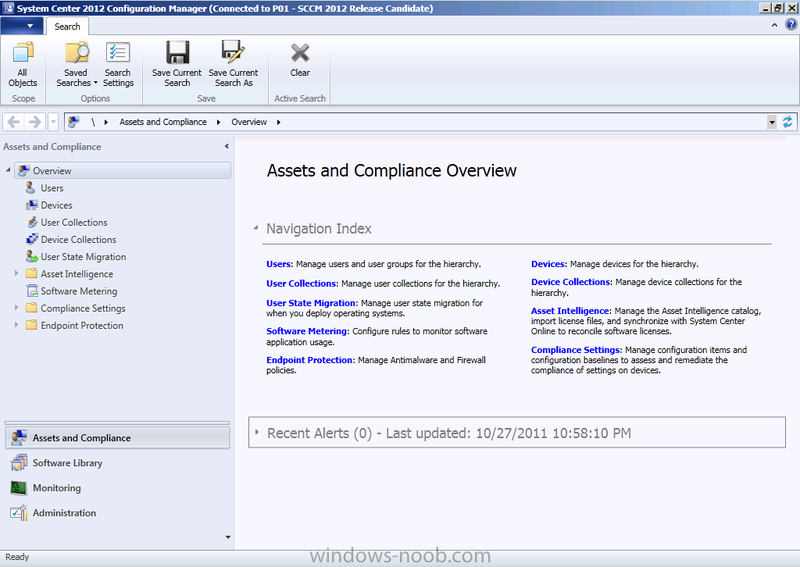 Bring up your GPO and browse to Policies, Windows Settings, Security Settings, Restricted Groups and create Administrators. Add members as appropriate, including global groups from your domain. This will overwrite the previous BUILTINAdministrators local group, so you should check the group first and make sure you have its defaults copied into your GPO. I just cheated and added ClientInstall to the Domain Admins global group for testing, but in practice I wouldn't want to do that. I haven't had to relax any settings. Turns out I had to enable the file and printer sharing exception and remote management exception using Group Policy. As XP doesn't have the advanced firewall that Vista and 7 do, the settings I had to enable were in the Administrative Templates, under Network, Windows Firewall. 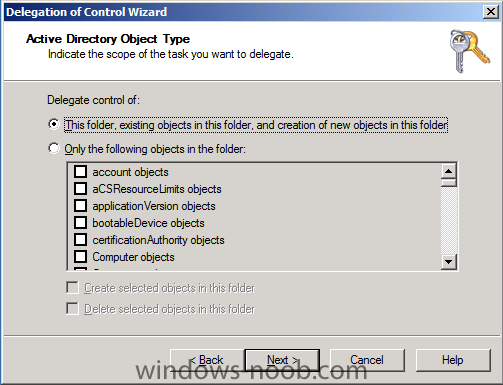 For Vista and 7 I was able to use the Advanced settings to enable the groups of settings for File sharing and for WMI. Anyweb, great tutorial as always! One thing I didn't see in the tuto's was your hyper-v config of all your lab machines (diskspace, ram, cpu network cards,...). 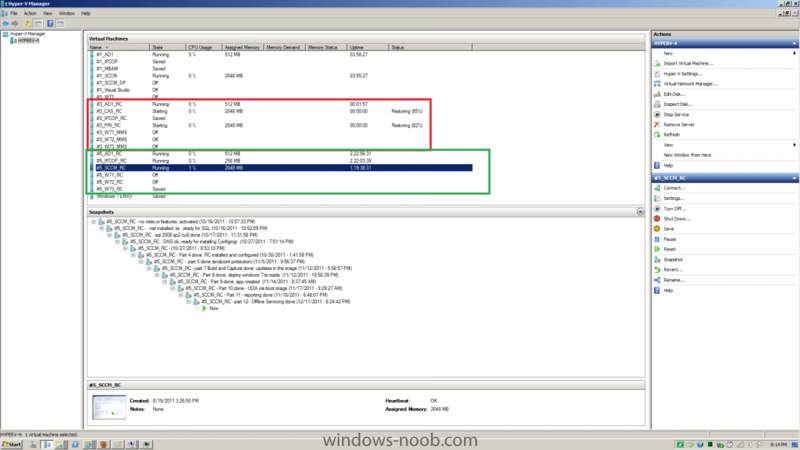 I'm new to hyper-v but not sccm and I forced myself to try the 100% MS way without vmware vsphere. what details do you want exactly ? 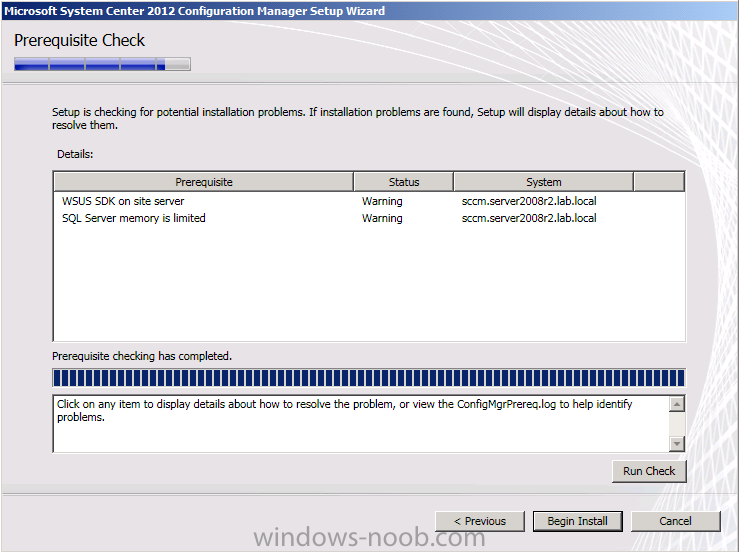 i get an error when i tried to install SCCM 2012 RC. it's about "cannot creat SQL tables". 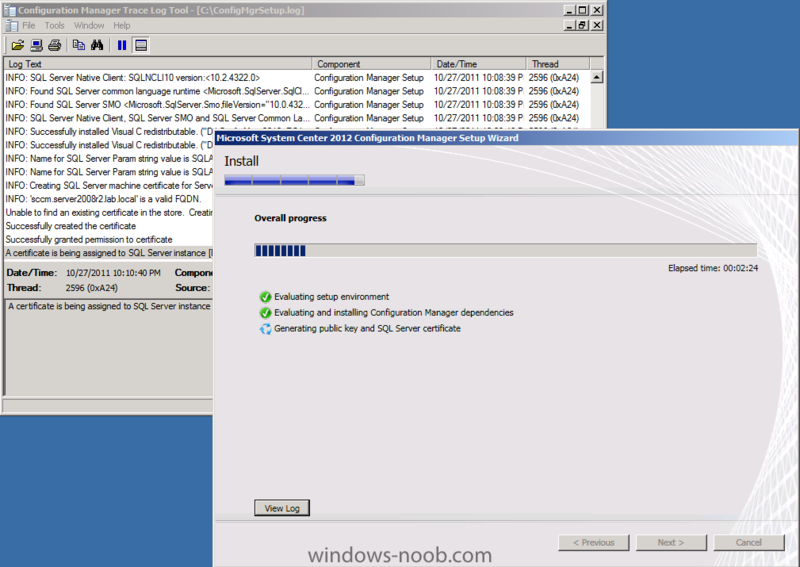 i installed SQL Server 2008 SP2,thand install CU6 adn than KB2603910. do u have any idea??? config page still in the make anyweb Will you make a new topic or just answer hereunder? sorry not following you KingsKawn, what's the issue exactly ?